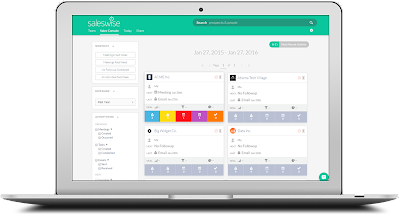 One year ago, I announced I jumped full-time with a startup called SalesWise. It had been several years since I had worked for a company (April 2012, I left Chainalytics and the corporate/ consulting world). They say one year in consulting is like working seven years in “corporate” job. 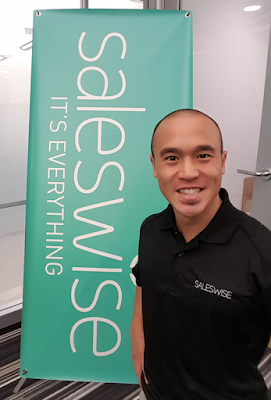 I’d say that’s more fitting to say from my one year at SalesWise, and hungry for more. SalesWise is still an early-stage company. When I joined, I was the first business hire. It enabled me to get in on the ground, and start building out… well, everything – sales, marketing, customer success, and more. It’s been a lot harder. When I joined, I was thinking, “wow, the product is great! The two founders are experienced. The CEO has even started four with all four successful exits. This will be a rocket ship!” Not so much. Modern B2B sales is harder than most people think. Every new startup is a new company with, likely, a new idea. There are tools to make things easier, better equipped, but it’s still very, very hard to build a company. I’m doing what I feared I would – keep wanting to do more. I joined the company because I felt I was starting to distrust others. I joined to help me trust working with others. But no matter what, I catch myself wanting to do more, so I don’t have to rely on others. I think to myself how can I learn to program some, just so I can help speed things up. It’s crazy. I’m already manhandling the other sides of the business. I want us to be successful, and I have this insatiable hunger to do more – to test, to deliver, to sell. I need to specialize on my side of the wall, and let others specialize where I don’t. There are so many tools to help a company… and confuse. The number of SaaS tools available for companies is daunting. There are so many analytics programs, customer success tools, support apps, marketing platforms, etc. It’s a dizzying array of programs to help a company know everything that’s happening, and to keep the company buzzing. However, it can be too much. I have four screens around me – most split-screened so I can monitor everything. Is it too much? Maybe. The key is using each tool effectively for what it’s supposed to do. A passionate, highly intelligent team members is more amazing. I didn’t meet everyone at the company before I joined. However, it’s been fascinating the personalities at the company. Each person is highly, highly intelligent – perhaps the smartest folks I’ve had the pleasure of working with. Most are very passionate about the direction of the company, and they truly own their areas of expertise. We have plenty of passionate debates during team lunches. They’re all healthy, and they give perspective to create the best approach. Following a highly successful leader who is also very transparent and honest is… amazing.I can’t tell you how often I’ve been amazed at how my CEO has been open about our company’s direction and funding. He’s listened to everyone’s input, and though he may disagree at points, he hears us all out. He’s taken time to share his intentions while looking out for our own ownership stakes in the company, and he’s making decisions in the best interest of us, our customers, and our investors. There hasn’t been as much of explicit 1-on-1 mentoring with me, per se, but I’ve been absorbing everything just in everyday interactions. It’s been fascinating, refreshing, and hugely motivating. When I started, we were launching a product for sales (reps and leaders). We had no customers. We pivoted a couple times last year before landing on our current direction. We’re now selling specifically for sales leadership. We have a dozen customers who are passionate about what we’re doing, and we’re seeing engagement numbers climb steadily. Our close rates are incredibly high at about 4 of 5 trials converting. We just raised $1.3M to build a repeatable customer acquisition process before cranking up the machine. 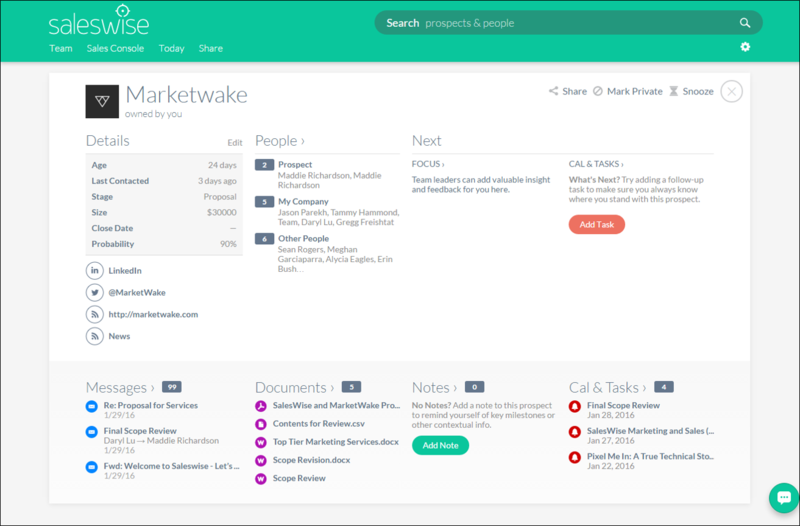 We’ve hired several sales professionals, and are now in the market looking for a marketer. 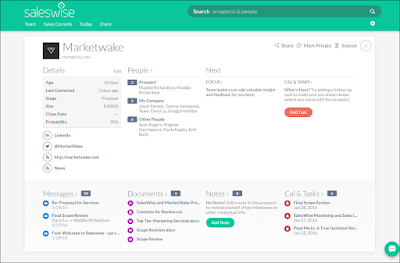 We’re building out the Business Relationship Intelligence category. It’s going to be an exciting next year.